Vehicle remarketers SMA are celebrating after smashing their all-time record weekly sales figure. In the week ending August 9, SMA surpassed their previous best to re-emphasise their growing reach. The feat was achieved despite August traditionally being a quiet period. SMA claim the growth reflects their success in attracting new vendors, increased activity with existing vendors, a significant increase in digital sales and an uplift in auction volumes. 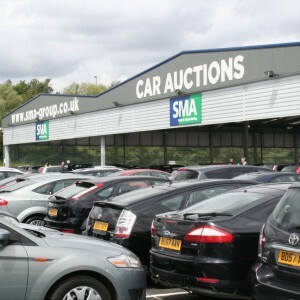 Bob Anderson, Managing Director of SMA, said: “As a business we have worked very hard to develop the buying experience, both online and at our auction centres. “The investment in time and money has seen a range of new products being launched, our centres developed to provide a comfortable, modern experience and a continued focus upon traditional service values. “The combination has continued to see us increase our footprint. “We like to think that we are the most buyer friendly remarketing organisation and the results certainly see to suggest we are making good headway. “At the same time, increase buyer footfall has helped our business development team to welcome new vendors. “In addition to more buyers, vendors recognise that we have worked to enhance our customer proposition, working to integrate ourselves alongside fleet managers and to support sellers to make their job easier.